Future Entrepreneurs and researchers hone their skills in the Economy of Communion. An International Symposium on Economy of Communion organized by the Association for an Economy of Communion in Central Africa, under the theme “The Culture of Giving: an overhauling Element of the Economy for a socially supportable and Sustainable Growth ” took place at the Nkolbisson campus of the Catholic University of Central Africa, on February 9th and 10th 2017. In his welcome speech, the Rector of the Catholic University of Central Africa, Rev. Prof. Richard FILAKOTA informed the participants that they have come for an experience of Communion because communion is the true wealth of Economy of Communion (EoC). He further highlighted that the program takes us to the very root of the Charism of Unity to rediscover the origins of the EoC. The two-day symposium was characterized by moments of brainstorming and sharing of experiences on the management of businesses by EoC entrepreneurs. Through a Skype conference, one of the main speakers, Prof. Luigino Bruni, the International Coordinator of the EoC project, Permanent Senior Lecturer at LUMSA University in Italy and guest lecturer at the University Institute of Sophia, enlightened the participants on the culture of giving and what to understand about the Economy of Communion. He explained to the over 200 participants that the EoC is aimed at reducing poverty, creating jobs and promoting the culture of giving. According to him, the project sets up businesses that follow market laws and produce profit which is freely put in common. He equally buttressed his argument on the fact that creativity is the ability to approach life in a better way and it is this creativity that leads to EoC. He made known the four pillars of EoC which are: trust, fraternity, creativity and work. Trust: we need to establish relationships with different partners through trust as there is no communion without trust - but this entails taking risks; Fraternity: this involves the sharing of profits, celebration and respect in our relations; Creativity: innovation is important in this changing business world, and through this, we can make social contacts and change lives; Work: every business succeeds through working, that’s how work guarantees posterity. On her part, Prof. Anouk GREVIN, associate professor in Management at the University of Nantes in France, presented some principles and guidelines in the field. 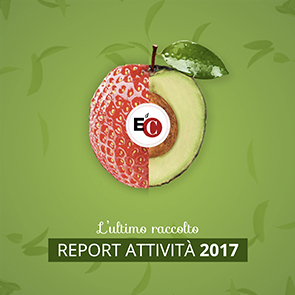 These guidelines follow the “Seven Colours” of the rainbow which was put in place by the Focolare Movement, one of the founding charismatic intuitions conceiving and living a life style associated with the “Charism of Unity” - of which the EoC is an expression. -Red: Entrepreneurs, workers and businesses. The businesses that adhere to the EoC define their own ‘business mission’ by adopting communion as a fundamental value of their organization at every level. -Orange: Relationships with clients, suppliers, financers, civil society and external parties. With professionalism, members of the business commit to build and reinforce good and open relationships with clients, suppliers and the territorial community in which they operate, the safeguarding and betterment of which are felt to be integral part of the mission. -Yellow: Spirituality and ethics. The work of the EoC is seen as an opportunity for not only professional but also spiritual and ethical growth. It behaves correctly towards fiscal authorities, control bodies, unions and institutional authorities. -Green : Quality of life, pleasure at work and external relationships. One of the objectives of an EoC business is to become a true community. Some suggested tools of communion are personal discussions between employees and their leaders, occasions where leaders turn a listening ear to protestations, disagreements and proposals. -Blue: Harmony in the workplace. Beauty and harmony in the work place are the first impression of an EoC business since communion is also beauty without need for luxury. -Indigo: Formation, instruction and Wisdom. The business will favour the creation of a climate of confidence among its members, in which it is natural to dedicate one’s talents, ideas and competences to the advancement of professional growth of one’s colleagues and for the further progress of the business itself. -Violet: Communication. Entrepreneurs adhering to the EoC work constantly to create a climate of communication that is open and sincere, one that will favour the exchange of ideas and information at all levels of responsibility. To crown the day, Prof. Gérard TCHOUASSI, Senior Lecturer at the University of Yaounde II Soa, called for the need to add the EoC in the academic programs of universities in Cameroon which are willing to endorse this wonderful way of empowering entrepreneurship. As an experienced lecturer in the field of economy, he advised that if this was to be a reality to all other universities like in the case of the Catholic University Institute of the Diocese of Buea (CUIB), then, unemployment will be more than tackled in Cameroon. More than 200 people: students, entrepreneurs, university Lecturers and experts of various sectors including representatives of the Ministry of Small and Medium Size Enterprises; a representative of the Ministry of Economy, Planning and Regional Development, and other representatives of Ministries attended the symposium. All the youth present got an interest for the Incubator with the EoC Startup Lab Africa 2017, to be held in June 2017 in Fontem, Cameroon.